Here is the opening ceremony for the completed roundabout. Video archives of the construction can be seen here. 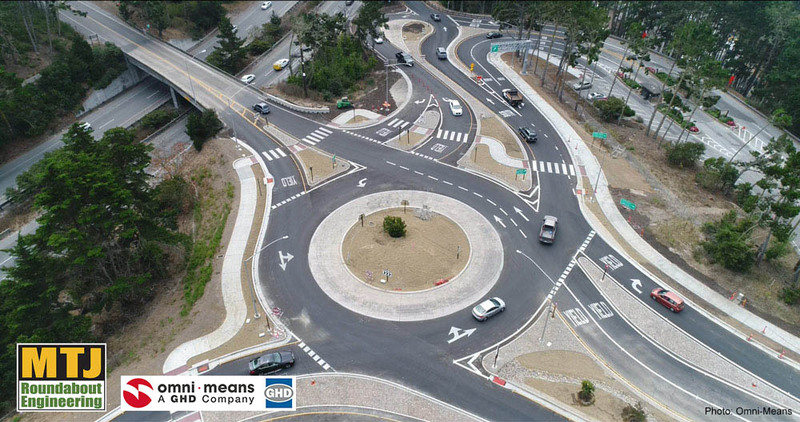 MTJ Roundabout Engineering provided the roundabout operational analysis, final horizontal design, and design oversight of pavement markings (including field layout assistance) and signage for this project as a member of the consulting team led by Omni-Means. 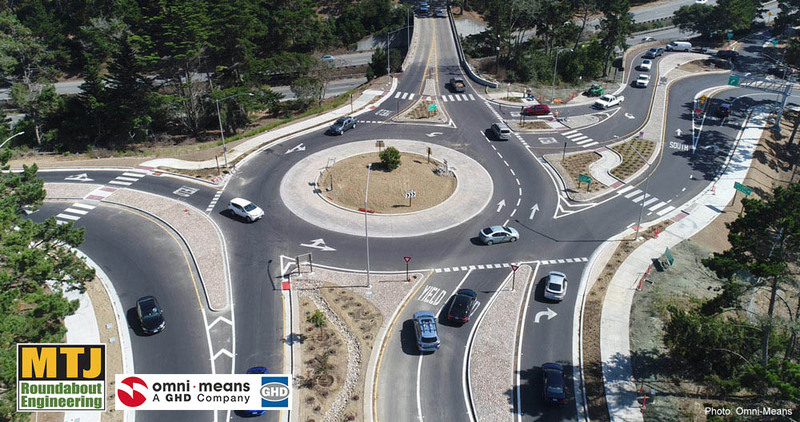 The roundabouts serve as primary access to the Monterey Peninsula of Carmel, Pebble Beach, Pacific Grove, Monterey, and the Community Hospital (CHOMP). 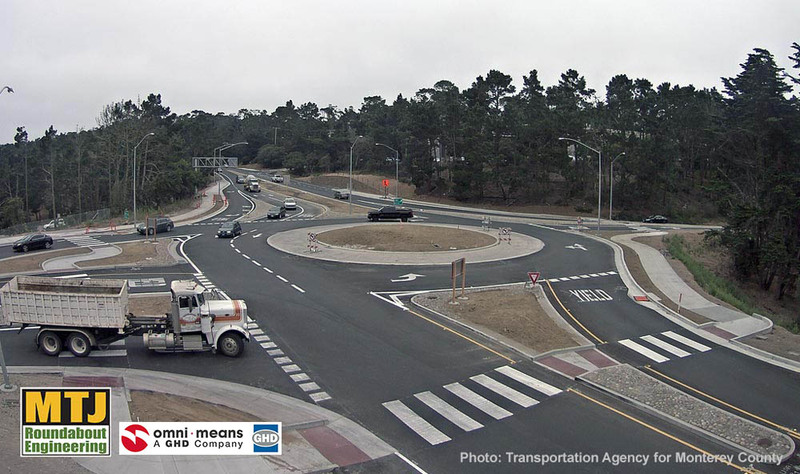 The City of Monterey led this project and several alternative designs were studied, including traditional widening with signalization and the roundabouts. The alternatives analysis component of the Environmental Impact Report (EIR) found that the roundabout alleviates the traffic congestion, allowing for increased economic development within Pebble Beach and is environmentally superior to the signalized intersection due to its smaller footprint which reduced biological impacts and disturbance. The importance of this roundabout to the community can be seen in the groundbreaking ceremony here. For background on the project, see the Transportation Agency for Monterey County’s page and the City of Monterey’s page. The project was named one of the best uses for government funds by Monterey County Now. Videos courtesy of the City of Monterey, CA, Omni Means. Project logo courtesy City of Monterey, CA.